We offer training covering the concepts, principles, and understanding of core competencies and strategies needed by today’s businesses. We train audiences from top management to low level and application professionals to staff employees in engineering, distribution and finance and make sure that the experience is both beneficial and memorable. The success rate of any project implementation depends on the user adoption of the software and it depends highly on training level. 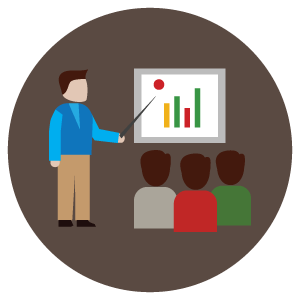 Our instructors and consultants have unrivaled knowledge of Microsoft Dynamics GP, Microsoft Dynamics NAV, Microsoft Dynamics CRM, Office 365, Jewellery ERP and Retail POS Application systems as well as extensive practical experience and numerous successful system implementations.